Philip is a Tax Executive Director in Hong Kong, with over 30 years of Hong Kong Tax Audit and Controversy Resolution experiences. He served a wide range of clients, providing tax controversy services to SME, private equity firm, conglomerates, listed companies as well as US and European-based multinational corporations with Asia Pacific operations. Philip is the first who set up a specialized team to handle the IRD’s tax investigation and field audit cases for clients in the industry. Furthermore he is the first who use transfer pricing methodology to settle tax audit cases. 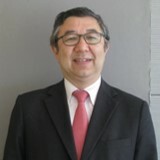 He has extensive experience in dealing with Hong Kong tax authorities, for example assisting corporations in settling pro-longed tax disputes on contentious tax issues in Hong Kong. Other then resolving tax controversy case, he conduct post implementation health check using the tax audit methodology for clients who have set up new arrangements. Philip as the President and Past President of the Taxation Institute of Hong Kong from time to time discuss with the Revenue on their Policy issues. Philip regularly contributes tax technical articles to newspapers and technical journals and is a frequent speaker at tax seminars organized by various professional bodies and trade associations in Hong Kong.